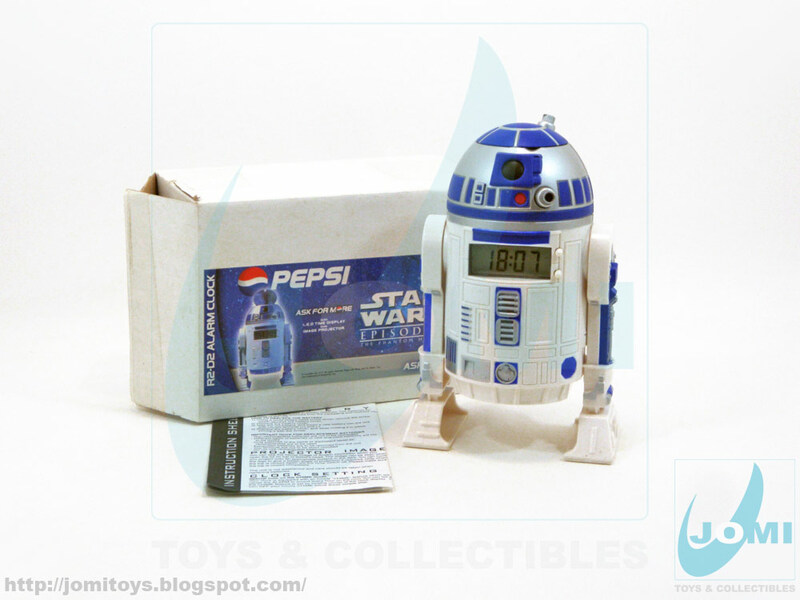 Digital clock and hologram projector "R2-D2" Pepsi 1999 exclusive! Mail-away offer from the 1999 blockbuster "Phantom Menace". Pristine condition! Scale: Similar in size to the 6" Action Collection "R2". 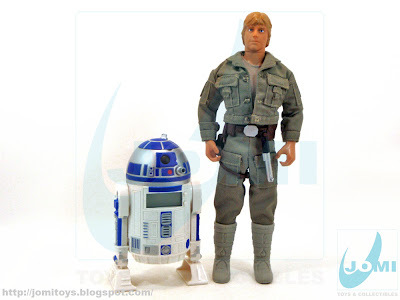 Here, next to "Bespin Luke", you can easily see how cool this droid goes with the 12" line. Not a static clock/ toy, legs tilt back (but head does not rotate). Hologram projector: Really cool detail. 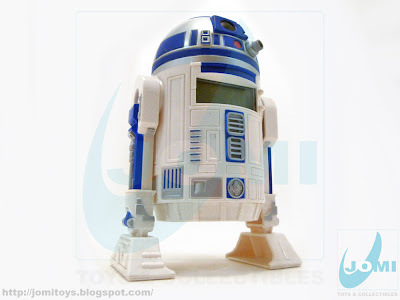 Pop up R2´s head panel and a light turns on projecting 9 yo Anakin´s face wherever you point it to. 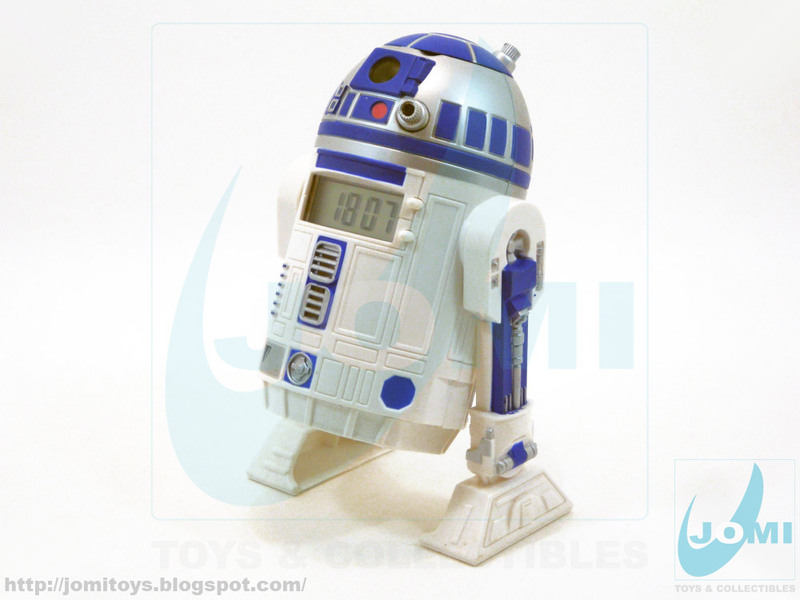 If your alarm clock is by your bed, you´ll see Anakin on the ceiling! 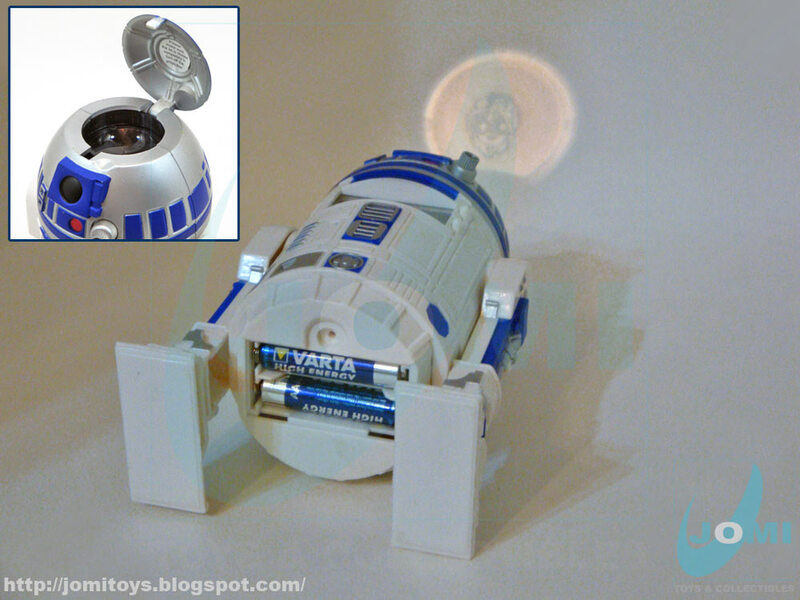 Uses 2 AAA batteries. This was a mail-away offer by Pepsi. 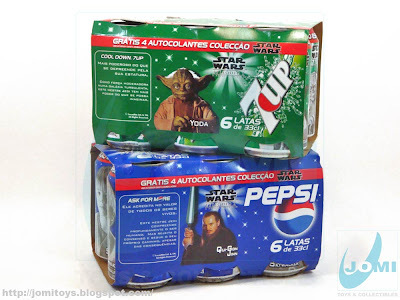 Each 6-pack of Pepsi or 7UP came with an insert. Once collected a certain (big) amount of them, PepsiCo would send you one R2D2. Offer was limited 2 per person. 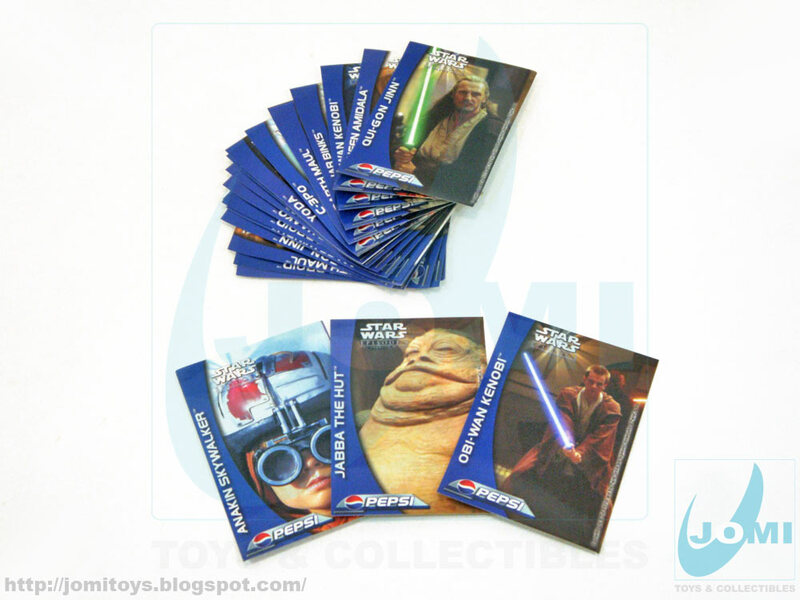 Also, and since we´re on it, inside the 6 pack set of inserts, one would get 4 different stickers of a collection of 20. Pictured above, the entire collection including the hard to find 1 (podracer Anakin), 11 (Jabba) and 17 (Obi-Wan with saber). 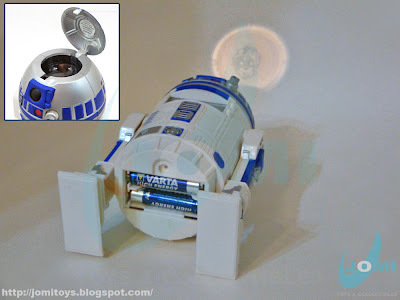 An extremely well put-together little droid ! I have a mint one of these still in the postal box...how much should I sell it for? Actions Men Figures - Update!